Dawn asks: How do I create descriptions that come alive without overusing adverbs and adjectives? 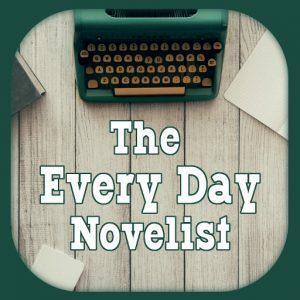 Kris asks: How do you write a good dystopia? Dawn asks: How do I find time to write when I have to work two jobs just to make ends meet? Dawn asks: What do I do when my characters absolutely won’t do what I tell them? Maurice has a suggestion for subscriber rewards that kills two birds… readers? with one stone. Kuzo asks: What is your favorite writer’s movie, and why? Sarah asks: What is a war board and what does one look like? 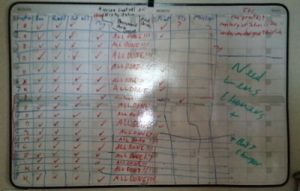 White board containing progress chart of an audiobook in progress.